Whether you’re situated in residential, commercial or industrial premises, TFH Hire – Temporary Fence Coffs Harbour will come and deliver, install, dismantle and remove our temporary fences in a professional and swift manner. No matter the size or time constraints, TFH Hire – Temporary Fence Coffs Harbour will complete the job to your satisfaction. Solidifying an unbreakable bond with the Coffs Harbour community for providing a quality temporary fence hire for many years, TFH Hire – Temporary Fence Coffs Harbour will ensure that you are not disappointed with their temporary fence services. Having a vast range of sturdy, durable and strong temporary fences available for hire, you’ll be sure to find what you’re looking for at TFH Hire – Temporary Fence Coffs Harbour. 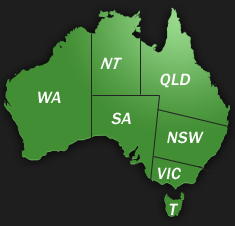 Providing the safest and secure temporary fences available on the market you can trust that TFH Hire – Temporary Fence Coffs Harbour won’t let you down. 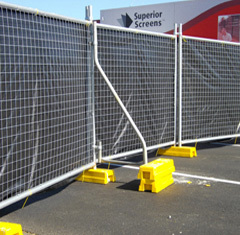 Being relentless in their pursuit for 100% customer satisfaction, TFH Hire – Temporary Fence Coffs Harbour can promise you that you will not be let down by our fantastic temporary fence hire, our tremendous prices or our down to earth friendly staff. So for a long lasting, strong and robust temporary fence at a more than affordable price anywhere in Coffs Harbour, give TFH Hire – Temporary Fence Coffs Harbour a call today.